Items listed in this store include fan club, mail away or other Vendor Exclusives. 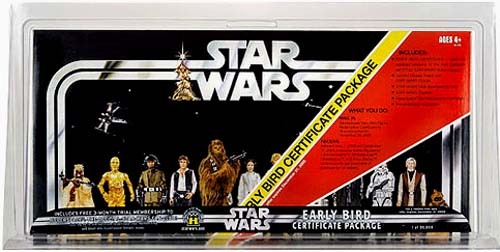 Generally, exclusives mean that the item was once only available at one particular location, event, store, or required special efforts such as purchasing a specially marked item at a retailer, then completing a form, and mailing away for the figure in the special offer on the back of the package. This also meant one had to open the package to get the mail-away offer. 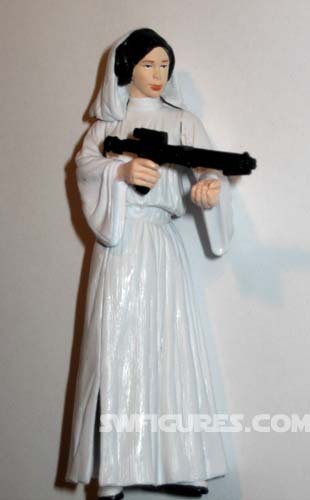 Forbid the thought of opening a Star Wars toy. Now, many exclusives may be purchased here without leaving your home, business or opening the package to get the exclusive. Special Offer Each figure named above and as shown here, comes in its original baggy from the 2005 Early Bird mail-in figure offer. 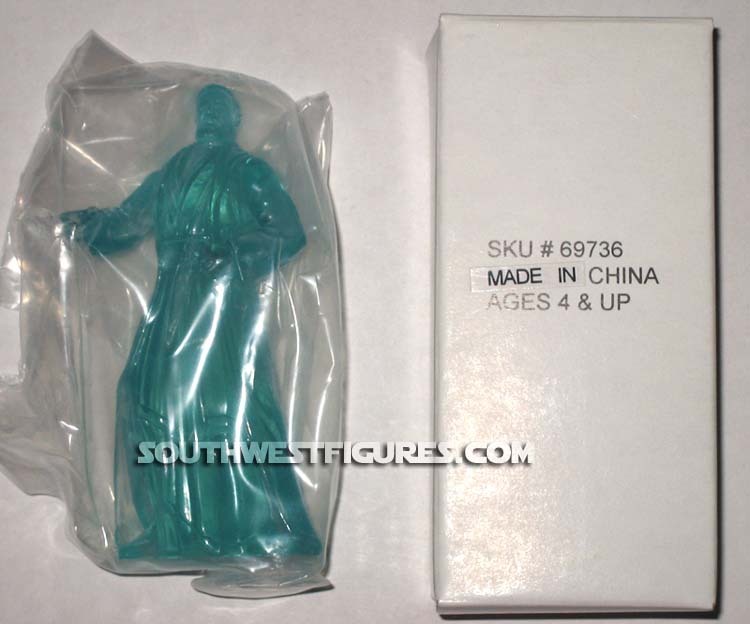 Figure is then sealed baggie with our unique serial-numbered, tamper-evident, hologram seals to help maintain authenticity. 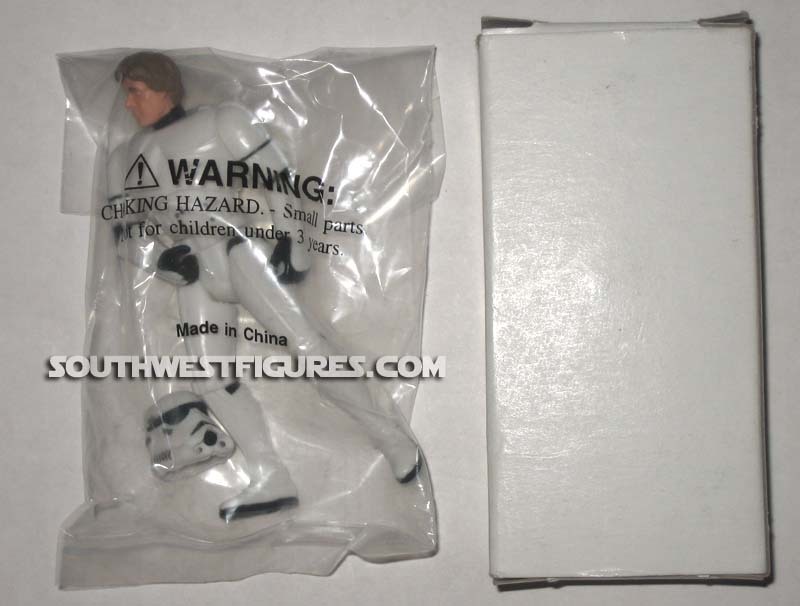 Looking to purchase specific figures from the highly acclaimed 2005 Mail-in Exclusive? Now you can. 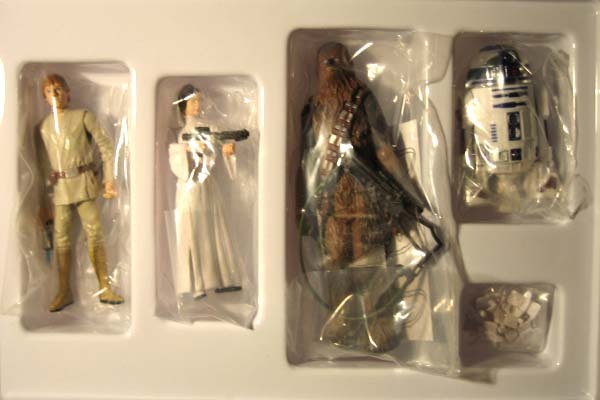 Early Bird Figure Box Set with action figure stands: The (4) Early Bird Exclusive mail-in figures: 1x Luke Skywalker with Telescoping Lightsaber, 1x Princess Leia with Blaster Riffle, 1x Chewbacca with 2 piece Crossbow Blaster, and 1x R2-D2 with Pop-up Scanner. 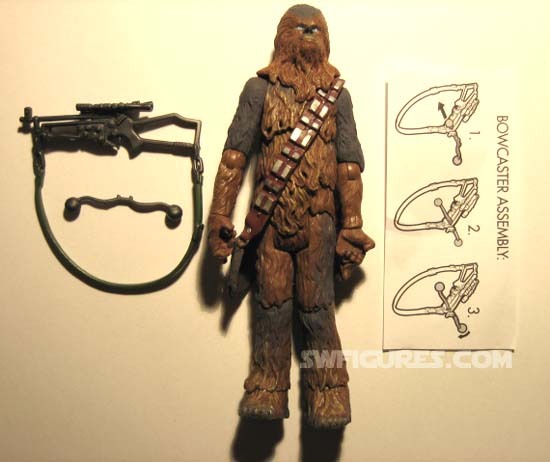 Also comes with original white mailer box and action figures stands. All items in original factory baggies In factory sealed box! Read More Here. 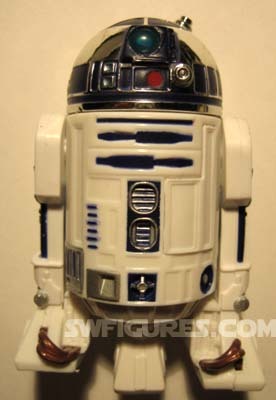 Action Figure Stands only Notice on the bottom of your Star Wars action figures are small holes. These holes are for the figure stands to help make your figures stand up by themself. Larger or heavy figures may not be compatable. This offer: (1) Bag. (as shown in upper left corner of photo on left) in original factory baggy. Early Bird Figure Color Display & Inserts Only: Includes full color display stand, Star Wars membership card, Hyperspace trial membership certificate, early bird certificate card receipt, sticker sheet (4 vintage looking stickers), 2 carded/ perforated photos from Episode IV: A New Hope, and the Early Bird Storage Kit with the celebrated Kenner logo. Does NOT include plastic display case. Includes original baggy and original (open) white mailer box. Includes original baggy and open white mailer box. 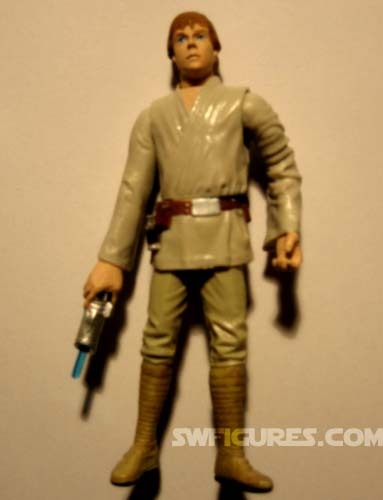 This mail-away Star Wars action figure was only available by sending in 2 proofs of purchase of specially marked (1995) Kellogg's cereal. Comes in original baggy and original open white mailer box.